One was worthy of a £4.99 price tag when I stumbled upon a newbie... #prima makes. I LOVE IT! 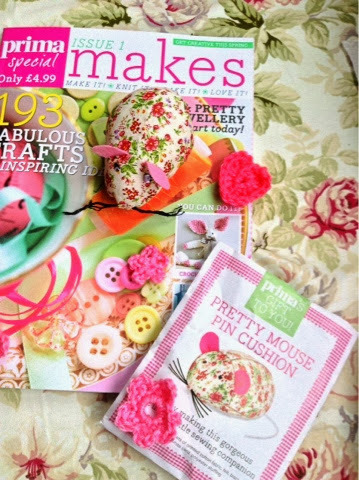 Full of beautiful crafts to make! Not just a nicely styled mag, but practical too! On it! And I've started making the crochet daisy chain necklace for my sister. Than a mag! Well done PRIMA!